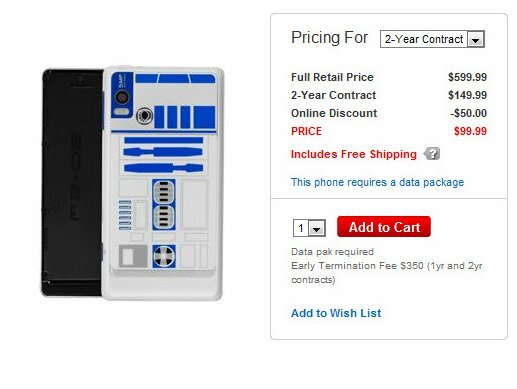 Poor special edition R2-D2 DROID 2. It’s now available for $99 after instant discount and having started it’s short life at $249. The device was supposed to sell out in minutes and even had parties thrown in its honor, but that apparently wasn’t enough to move the “limited” numbers available. Anyone interested?